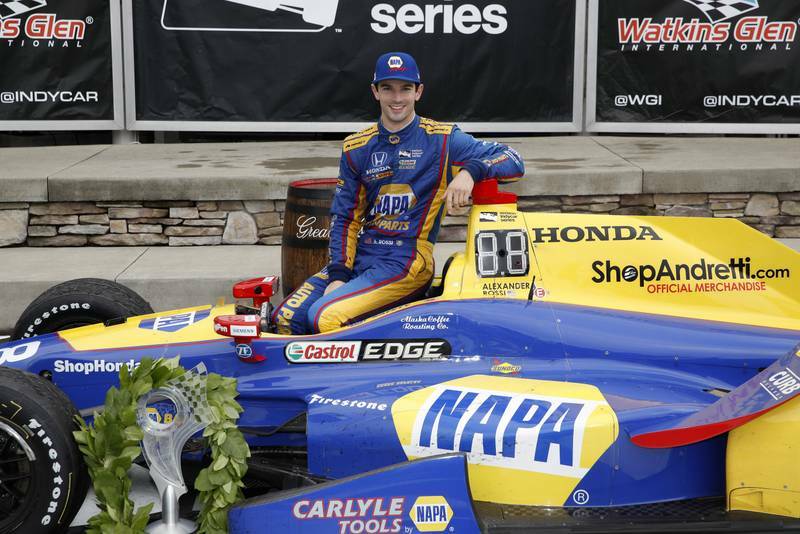 After starting from the pole position, Alexander Rossi drove the NAPA AUTO PARTS Honda to Victory Lane Sunday at Watkins Glen. 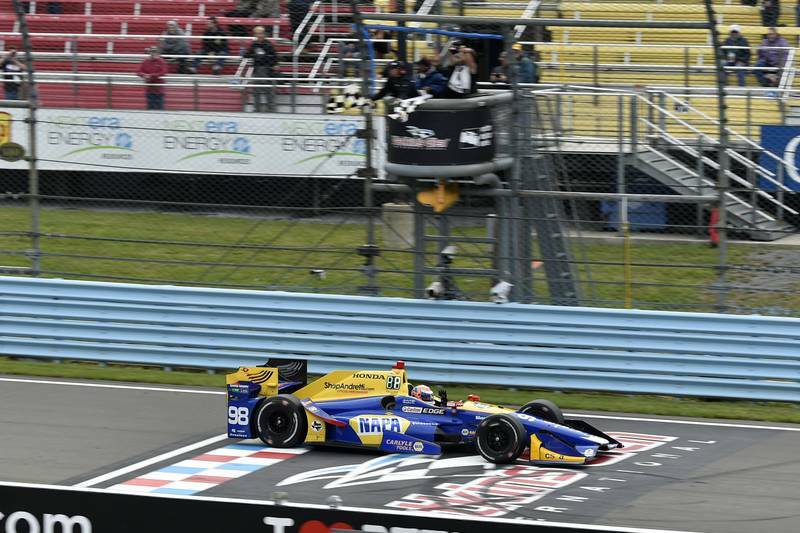 Watkins Glen International saw rain showers in the morning, ruling the 1:45 p.m. race a “wet start.” After starting the race from pole and just one lap on track, Alexander Rossi was followed by the field into the pits to trade their Firestone rain tires for a set of racing slicks. The No. 98 team opted to take the new Firestone Primary Blacks for the first stint, while most of the field went with the alternate red compound. 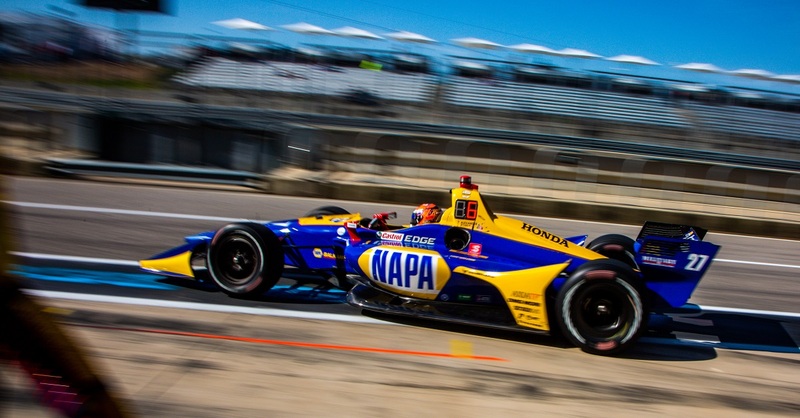 With a significant difference in the two types of tires, Rossi was able to maintain speed with Helio Castroneves and Scott Dixon who chose to run the faster Red tires. When it was time to come in for a second stop, the No. 98 team chose the Firestone Alternate tires, but the team ran into a fueling issue in the pits. The equipment malfunction resulted in lack of fuel needed to complete the next full stint. 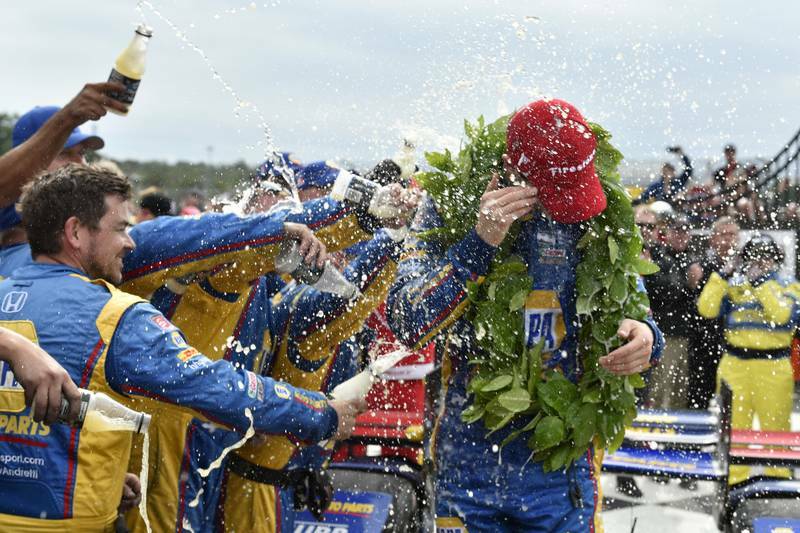 The NAPA AUTO PARTS crew rushed to make repairs meanwhile Rossi had regained the lead. After running only eight laps, the 25-year old came back into the pits on Lap 24 to fill up on fuel and put on a new set of tires. The fueling issue seemed to be fixed, but the unplanned stop placed Rossi down to 17th position. 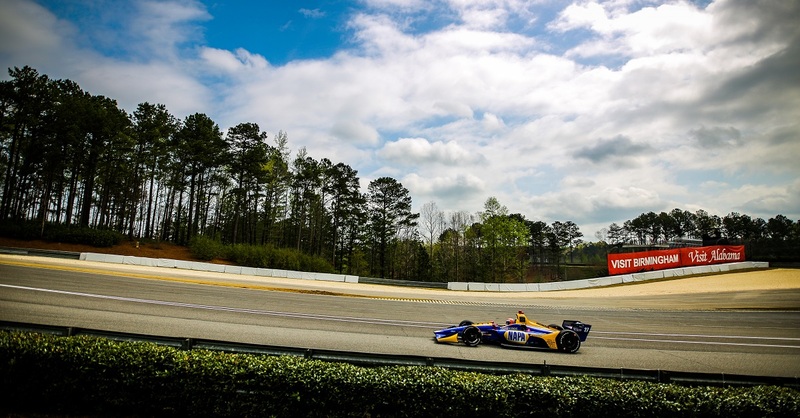 A yellow flag was waved just three laps later. As the leaders decided to pit during the caution, Rossi was cycled back to first by Lap 28. 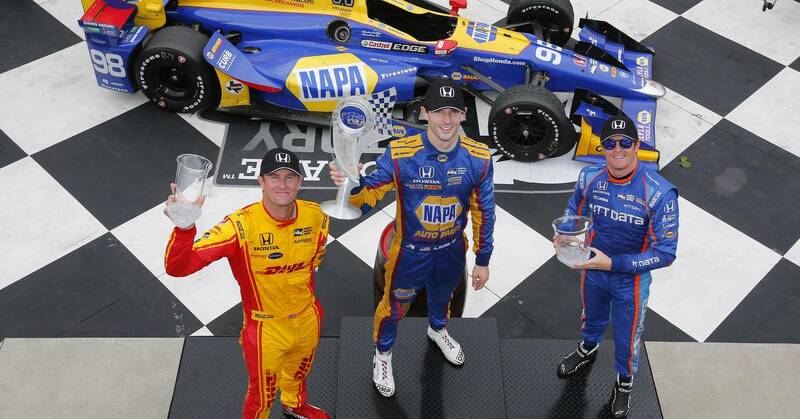 The Andretti-Herta Autosport driver was leading by over 10 seconds when the final caution was thrown over the 60-lap race. 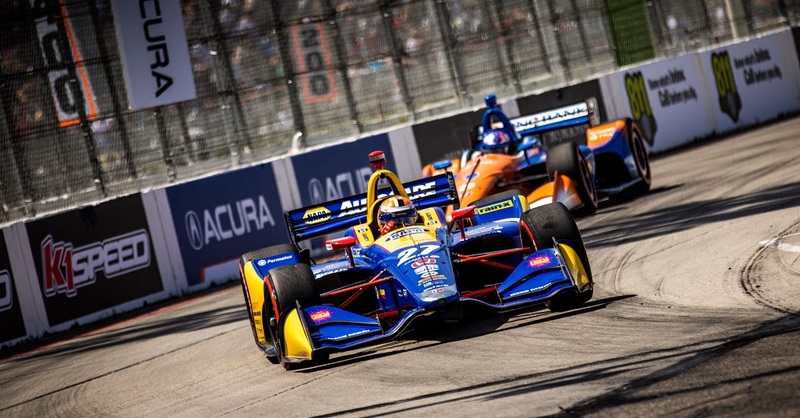 When the track went back to green, the sophomore driver had to hold off Dixon for over 10 laps until the he crossed the finish line. 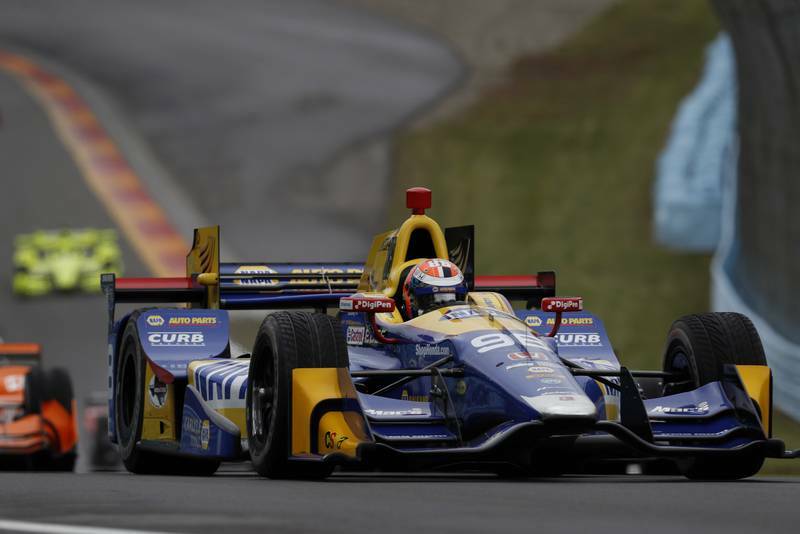 When the checkered flag was thrown, Alexander Rossi had led 32 laps and drove the No. 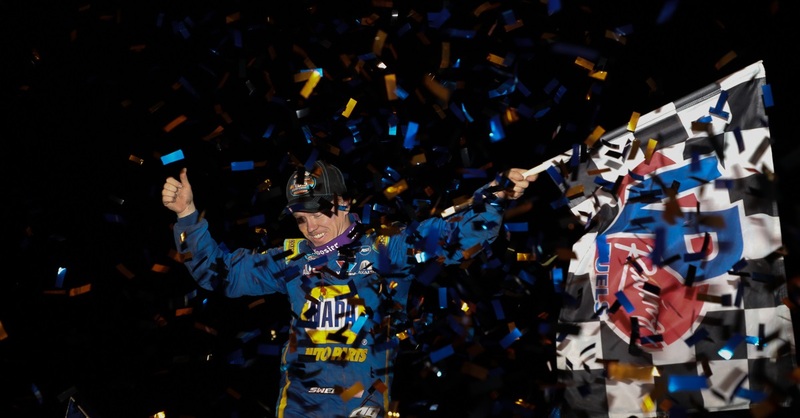 98 NAPA AUTO PARTS Honda to victory lane.